Master plan for development of a commercial, residential and recreational resort of 1,700 acres on the central California coast. The project included a resort hotel, golf course, tennis club, office complex, commercial complex, 425 hillside condominiums and 250 cottages units and a complete sports park. 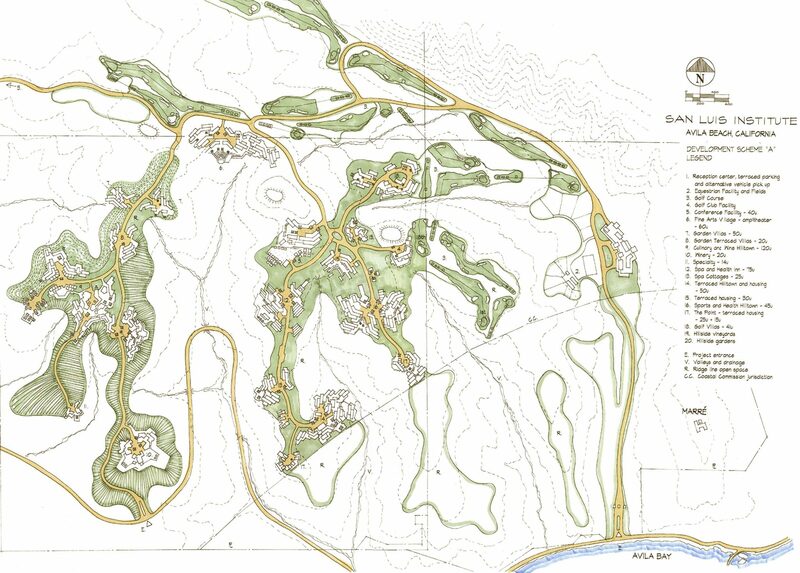 The project required land use studies and landscaping schemes that would preserve native habitats and leave the natural terrain largely undisturbed. 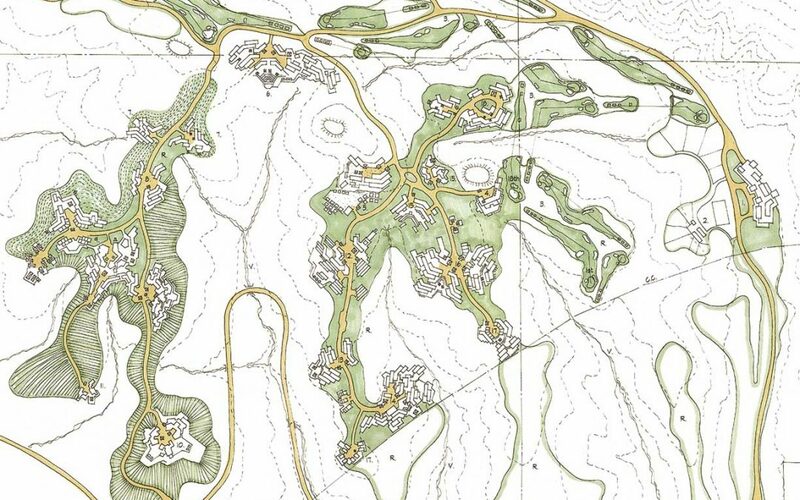 Site density and circulation studies were also developed. Minimal grading is required for this project.